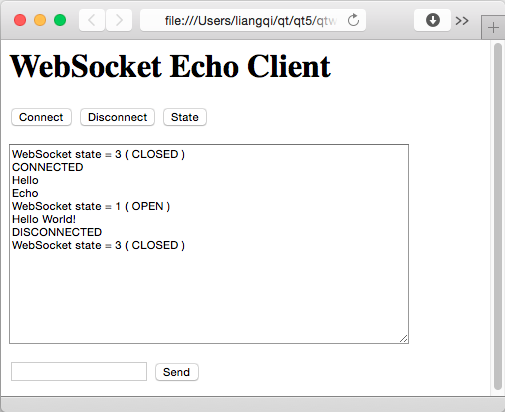 The Echo Server Example shows how to create a simple server application that sends back the messages it receives, using the WebSocket API. If your web browser supports WebSocket, you can also use it to open the echoclient.html file, and operate like the following screenshot. See also Echo Client Example.